Facing the real world is not just about having the knowledge but more about the demonstrating skills acquired whilst in school. This is where we come in. 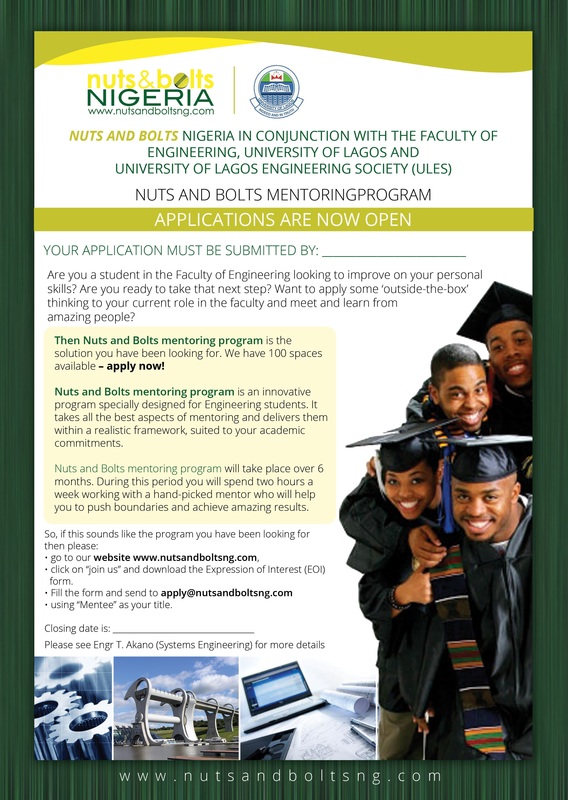 The team at Nutsandbolts Nigeria works hard to prepare students for the real world. We believe that all students have the potential, but most need the right kind of push so they can go further than they thought they would. To achieve this, we provide mentors who serve as guides to help them succeed. Our mentors are experts and professionals who have excelled in their chosen fields. We also provide free training and workshops on industry standard software like Matlab, R. For now, we are focused on engineering and science undergraduates but have plans to expand to other courses in the future.